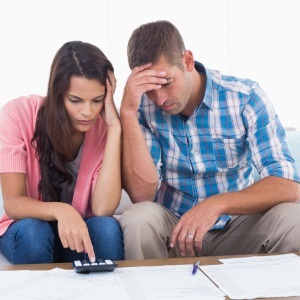 Money problems can cause stress in all aspects of your life. If you feel like you're in trouble financially, your whole world may seem like a source of stress and anxiety. After all, money troubles bleed into all aspects of our lives. Fortunately, a psychic can help point you in the right direction so you can change your path for the better. While a psychic can't give financial advice, they can certainly help you with money-related worries. A psychic can help you figure out what's causing your money problems in the first place. While you might know your immediate problems come from losing a job, a psychic can help you determine why that happened so you can move forward. Likewise, if you can't understand why you're spending money nonstop, they can help identify the root of the problem. A psychic will look to your past along with patterns in your current behavior that play into your problems with money. By identifying factors that are outside of your control as well as issues that you created with your own actions, you can learn to change your attitude. This way, you'll achieve the best possible financial situation for your circumstances. A psychic is not the secret to a quick financial fix. You can't expect them to tell you where to invest your funds or give concrete financial advice. They also aren't going to predict the day's winning lottery numbers and hand them over to you for an immediate windfall. This simply isn't how psychic abilities work. Psychics don't give you or even have the power to cheat the system. Look deeper than the answer to the winner of a race. A psychic instead can guide you to a more positive financial future, and that's something that will help you for years to come. You just need to be willing to put in the attitude, resourcefulness, and yes, the work that you need to make the shift a psychic will see for you. When you've pinpointed what's causing your money problems, you can collaborate with a phone or online psychic to find ways to move forward. They will help you in your progress by highlighting paths you could take. At the same time, they will help put you in the right mindset to succeed. A psychic can also guide you to ideas that create extra income to supplement your current job, and they can work with you to find a new direction to take your business. Of course, not all money problems come from your career, so a psychic will also help you shift your attitude. You may simply need to recognize that you have wealth beyond finances and count your blessings in order to set yourself free. Though psychics can't give financial advice, they can help right your financial woes in countless other ways. Consult with a psychic to discover what's causing your problems and change your attitude to invite abundance.